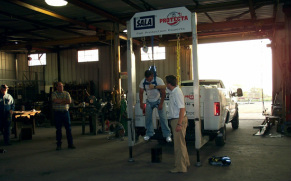 Safety is the cornerstone of our operations and it is our goal to maintain a safety and health program conforming to the best practices in the construction industry. Our employees are our most important asset and their safety is of the highest priority and our greatest responsibility. We measure our safety success through employee involvement, statistical data analysis, project inspections, and employee recognition. All employees are encouraged to be a part of our Safety Team by reporting near-miss incidents, unsafe acts or conditions, or any potential hazards. Our approach includes the continual identification and control of hazards, on-going drug/alcohol testing, on-site safety audits, appropriate training of personnel and the completion of a Job Safety Analysis (JSA) and tailgate talk before starting any job. Additionally, all personnel are provided and trained in the use of the appropriate Personal Protective Equipment (PPE). To meet our commitment to safety, our management promotes a positive attitude towards accident prevention and insists on following safe work practices and conditions. The prevention of occupationally induced injuries and illness is of such consequence that it will be given precedence over operating productivity. 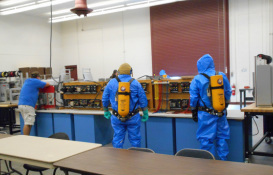 The intent of the OSHA’s Hazardous Waste Operations and Emergency Response standard is the protection of workers who engage in emergency response operations during releases or threats of release of hazardous substances regardless of the location. Read more. 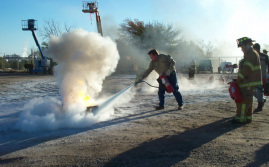 The OQ Program was designed to ensure that people working on or near hazardous liquid or gas pipelines have the right training and qualifications. Serco, Inc. uses an industry leading Operator Qualification (OQ) program. Read more.